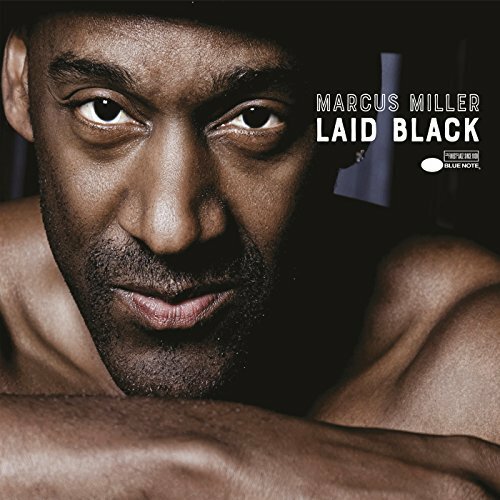 Miller Time, Marcus Miller’s three-hour exploration of the funky side of jazz, as the legendary bassist puts it, has become appointment radio for me. If I’m in my ride on a Sunday evening, I’m flipping over to Sirius radio station 67 to check out Miller Time. Miller, who has worked with the likes of Miles Davis, Luther Vandross, Aretha Franklin, Eric Clapton and Meshell Ndegeocello, has view of jazz that is rangy and iconoclastic yet respectful to the art form’s traditions. He is after, all, the cousin of Wynton Kelly, who played the piano on “Freddy Freeloader,” the second song on Davis’ Kind of Blue. All of this explains why a Miller Time segment can include a hard bop classic such as Horace Silver’s “Song for My Father,” and then something straight funky from Incognito. Miller draws on his encyclopedic knowledge of jazz, funk, soul and hip-hop to educate listeners on how it all fits together. He’ll chuckle, ‘ha-ha’ when the tune ends if he’s really feeling it. Miller chuckles at the end of “Trip Trap,” the live number that opens his upcoming album Laid Black. This cut finds Miller flipping the script on the hip-hop crowd by incorporating the percussive elements of Trap music - mainly its use of hi-hats, 808 kick drums into an improvised jazz setting. The cut features Miller showing why he remains one of the most creative improvisors on the bass and then ends with a freaky jam session between the keyboardist and horn player gives way to audience applause and Miller’s signature chuckle. The second track on Laid Black, “Que Sera Sera,” is a tune Miller heard Doris Day sing both on the big screen and on her TV sit-com that ran from 1958 – the year before Miller was born – until 1973, when Sly and the Family Stone made the funkified cover version that the bassist reprises. Miller’s version finds the band wrapping a combination of slow driving blues funk, jazzy horns and sanctified backing vocals around Belgian singer Selah Sue’s wistful vocals. Another remake finds Miller reimagining Earth, Wind & Fire’s “Runnin’,” an instrumental that served as a showcase for Verdine White’s bass work on that legendary band’s All ‘n All album. Miller transforms the track into a hip-hop cut where his percussive and percolating creativity on the bass serves as the focal point. “Sublimity, ‘Bunny’s Dream,” finds Miller returning the theme of his 2015 project Afrodeezia, where he collaborated with musicians west and north Africa, Brazil and the Caribbean to honor the ancestors brought from the Motherland to these shores during the trans-Atlantic slave trade. “Sublimity” sports a gentle swing and finds Miller laying back and fitting in with west African styled percussion. As is always the case with a Marcus Miller project, Laid Black reveals him as an artist as comfortable with a finger on the pulse of what is going on now as he is serving as caretaker of tradition. It’s another highlight in a career filled with highlights. Strongly Recommended.